Toyota Hybrid is built for a better world. Twenty years ago, Toyota launched the Hybrid revolution. There are now over 10 million Toyota Hybrid drivers on our roads and a wider range of Toyota Hybrids available in Limerick. We started the Hybrid revolution, inspired by the idea of burning less fuel and a dream of cleaner air for our children to breath. While the world races to catch up, we race ahead to a future where harmful emissions will be a thing of the past. Why is Toyota Hybrid better? A Toyota Hybrid combines a petrol engine with an electric motor, powered by a battery which the car charges itself. Together they both just work better. Overall, the combination provides you with a better driving experience. You just push the start button, nudge the lever into D, and away you go. And it keeps getting better. Automatic transmission and the Hybrid system itself constantly optimise the source of power. And then better becomes best. You never have to plug it in. Every time you use the brakes, 'regenerative braking' recharges the battery. Lets talk facts about Toyota Hybrid! Toyota Hybrids are cleaner than diesel, with 90% less NOX and also less CO2 than diesel equivalents. Combining a petrol engine and an electric motor means that Toyota Hybrids emit from just 70g/CO2 per km, incredibly low for a family car. Better still a Toyota Hybrid emits up to one-tenth of the NOX pollution of diesel engines, giving us all better air quality. That's better for you, your family and your future. Toyota Hybrids have better fuel economy. Because the Hybrid system has the unique ability to recycle energy other cars waste, you benefit. So you won't just enjoy the drive, you'll enjoy the savings too. e.g. 2019 Corolla Hatchback delivers 82.9mpg (3.4l/100km). All Toyota Hybrids come with low Road Tax. e.g. 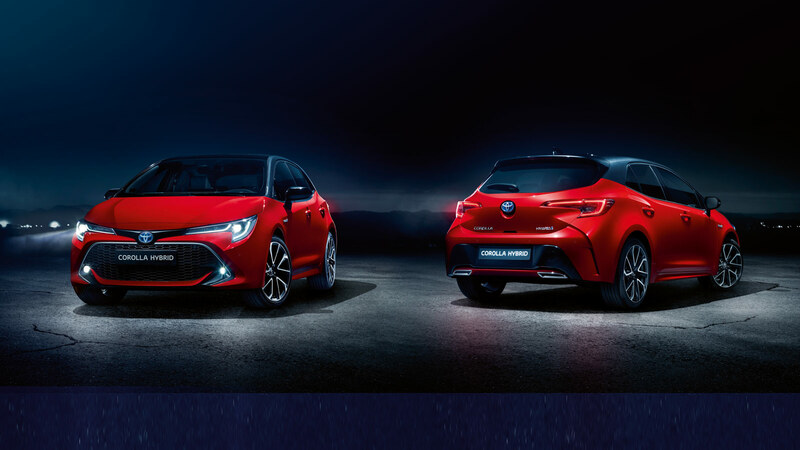 2019 Corolla Hatchback Road Tax is €170. For Peace of Mind, in addition to the 3 Years manufactures warranty, all Toyota Hybrids come with a 5 year Hybrid component warranty. For even greater peace of mind, when you get your Toyota Hybrid serviced with us you can avail of a Hybrid Health Check giving you up to 10 years battery care. You'll also save on maintenance, about 30% less when compared to a non-Hybrid vehicle. That's because Hybrid vehicles have less wear and tear on items like brake discs and tyres and you don't have a clutch. Also the batteries in our Hybrids are designed to last the lifetime of the vehicle. Toyota Hybrids have better resale value. As diesel resale values fall in Ireland and the UK, used Hybrid resale values have increased dramatically. In 2 to 3 years’ time, which would you prefer to be trading in? Toyota Hybrid is the future. As the industry moves away from diesel in passenger cars, we have seen a VRT increase on diesel and will see diesel fuel price increases. In the UK and other European countries, diesel is more expensive than petrol. Guess what - You don’t plug them in. You fuel our self-charging Hybrids the same as any petrol car and you don’t need to plug them in as they charge themselves. Improved styling and specification, inside and out. Check out the current C-HR and our game-changing next generation Corollas, RAV4 and Camry to see for yourself. A dream to drive. Best of all, the reason you will love your new Hybrid is because you will love to drive it. People who buy Toyota Hybrid love their Hybrids. That's no exaggeration. In a recent Irish study, 97% of Toyota Hybrid drivers said they would buy a Hybrid again as their next car. Thousands of Irish drivers are making the switch to self-charging Hybrid cars. Since July 2018, more than 55% of Toyota buyers have opted for Hybrid. For 2019, 8 out of 10 Toyota buyers will be driving Hybrid. Join us for our Hybrid Now Event from 8th - 30th November to find out why. It’s time to discover why Hybrid is the only choice for you to stay ahead of the game. It has been well documented how governments across Europe made the mistake of promoting diesel for its low CO2 advantage over petrol and how they are now reversing this, due to the NOx and particulate emissions of diesel. As diesel sales fall in Ireland and across Europe, drivers are looking to Hybrid as the ideal replacement. Toyota really are ahead of the game as they have been selling Hybrids since 1999 and next year will have 10 Hybrid models available. No other brand comes close. Indeed, as other brands launch their 1st-generation Hybrid or 48volt mild-Hybrids, Toyota are launching their 4th-generation Full-Hybrids with improved performance, styling, specification and economy. Right now, all new passenger cars will come with 3 Free Services and with Toyota Financial Services, finance offers start with APRs from 2.9%. 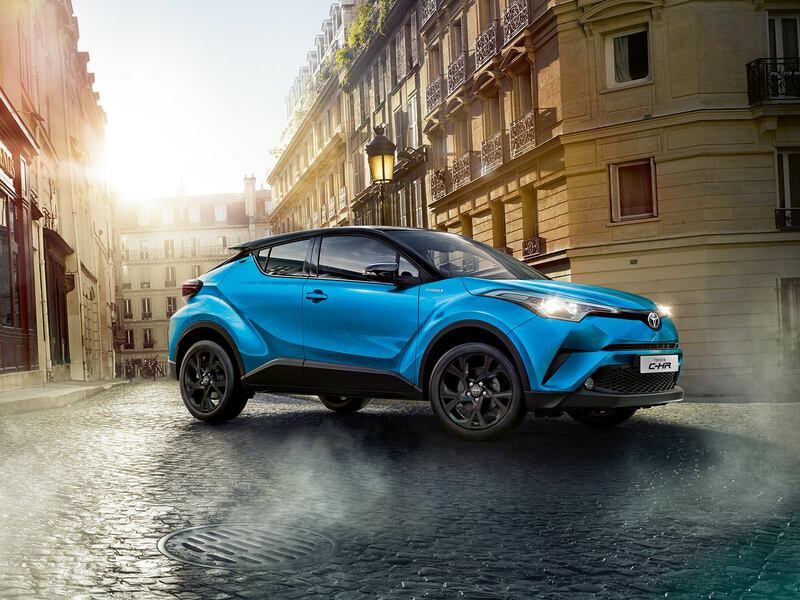 The advice is before you purchase your next new car – give a call to us in Raheen and educate yourself why you should really consider Toyota Hybrid and stay ahead of the game.